To start off this chapter, Baggett and Walls give a set of scenarios. Suppose you look at a clock tower at 2 o'clock and form the belief that it is 2 o'clock. The first scenario is the discursive knowledge case. The clock is accurate and fully functional in this case. Given this, one seems to have justification and (inferential) knowledge. The second scenario is the nondiscursive knowledge scenario. While the clock is accurate and fully functional, one does not infer the time from such factors. Rather, having glanced at the clock, you simply find yourself believing it's 2 o'clock. Or you intuitively know the time accurately without even looking at the clock (though this seems farfetched for us in the actual world). The point here is that this is something more intuitive and perhaps even properly basic, which counts as knowledge. The third case is a Gettier case. Suppose that the clock broke 24 hours before. It is just a coincidence that you look at the clock at 2 o'clock. Here Baggett and Walls distinguish between objective justification and subjective justification. Objectively speaking, one lacks justification because one is relying on a defective clock. However, one has subjective justification because one has no reason to suspect that the clock is broken and has good reason to believe that it is 2 o'clock. However, one presumably lacks knowledge in this case. The last scenario is the random time scenario. Suppose that the clock was never made to give accurate times, but instead its hands are guided by a random set of electronic signals. So the clock gives the time it does because of causes which are completely disconnected from the actual time. Suppose it gives the time 7:15 when you know well that it is early afternoon. Here there is no knowledge and no justification to think that the time indicated is accurate. While some may think that naturalism rules out moral knowledge, it does not mean that naturalists lack moral knowledge. For them (and everyone else) to lack moral knowledge, it must be that naturalism rules out moral knowledge and that naturalism is true. However, Baggett and Walls want to maintain that naturalists have moral knowledge. They start by discussing discursive moral knowledge. Consider three categories of people. The first have argued that on naturalism, both morality and logic lose their validity. Some examples are C. S. Lewis, Victor Reppert and Alvin Plantinga. The second, such as J. L. Mackie, Richard Joyce, E. O. Wilson, and Michael Ruse, argue that on naturalism, theoretical reasoning retains its power and validity, but normative moral categories are lost. The last category of people think that reason (and logic) is reliable, and so we should think that morality should be thought of as reliable too. Such are moral realists like Derek Parfit, Erik Wielenberg, David Brink, and David Enoch. For example, they may say that we are committed to the existence of other norms of reasoning with the same ontological and epistemological properties as moral ones. Angus Ritchie (a theist) argues that there are true statements which (1) are both descriptive of entities and are also prescriptive to those rational agents who come to know their truth, and (2) they are neither analytic nor knowable by empirical research alone. Ritchie identifies norms of theory choice in the physical sciences. Some call these epistemic norms. Ritchie uses inference to the best explanation (IBE) as an example. Physicists routinely make such inferences. The principle is both descriptive and normative, for it tells us what we ought to accept on the basis of evidence generated by empirical observation and experimentation. Hence based on IBEs, we are committed to the existence of synthetic a priori imperatives. David Enoch takes another approach by arguing that human beings can't help but engage in explanatory projects in order to make sense of the world. Since the practice of explanation is indispensable, and principles of IBE are indispensable to that practice, we have to take their deliverances seriously. Ritchie further conjoins this with the practice of reflective equilibrium where we take singular intuitively compelling judgments and systematize them into general rules. Next Baggett and Walls discuss nondiscursive moral knowledge. Psychologists distinguish between the "adaptive unconscious," whose operations are fast, automatic, and effortless, and the operations of the conscious mind, which are slow and require work. The former is known as System 1 and the latter as System 2. Some knowledge is nondiscursive. Some, like Plantinga, have argued that certain beliefs are rational, justified, and warranted without being evidentially supported by other propositions because they are properly basic. Baggett and Walls suggest that it is reasonable to think that certain foundational, axiomatic moral convictions might qualify as properly basic beliefs. Baggett and Walls next discuss moral Gettier cases. Angus Menuge says that the shared claimed of variants of evolutionary ethics (EE) is that the moral sense of human beings is the result of their natural history, which is contingent and could have been different. He makes a distinction where weak EE says that it is only our moral psychology (our moral beliefs) that would be different if we had evolved differently, while strong EE says that moral ontology itself (what actually is right or wrong) would be different if we evolved differently. Strong EE's main problem is that it makes human rights contingent. It cannot account for moral values and obligations well. Furthermore, Menuge points out that if rights are based on our natural capacities, then some individuals who suffer physical or mental defects do not have rights. Another point is that natural selection may explain what is good for an organism, in that certain characteristics can increase the likelihood of survival and reproduction. Yet the fact that X is good for Y does not imply that X is morally good. Weak EE on the other hand gives us no grounds for thinking that we could know moral reality. On weak EE, it seems that one is right just by mere coincidence, since our epistemic moral faculties are not properly connected to moral truth. Erik Wielenberg replies that it is a mistake to assume that humans could have evolved with radically different moral principles from the ones we actually possess. While he admits some luck is involved, he does not think it is significant since the same luck afflicts many of our nonmoral beliefs also. Baggett and Walls now discuss the challenge to justified moral beliefs. If moral beliefs are not dependent on the relevant moral truth-makers, then a tracking relation has not been established to show that our moral judgments essentially depend on actual moral truth. Gilbert Harman, for example, says that if moral beliefs can be given an evolutionary explanation, then they can be explained without appealing to their truth, and thus moral beliefs lack justification. Many others such as Guy Kahane, Michael Ruse, Richard Joyce, Sharon Street, and Mark Linville have advanced similar evolutionary debunking arguments. Street, for example, assumes that our moral beliefs are fitness-aimed but asks if they are also truth-aimed. If there is no fitness-truth relation, then we should be skeptical about morality. If there is a fitness-truth relation, then it is either that moral beliefs have reproductive fitness because they are true (the tracking relation) or simply because of the fitness they have conferred (the adaptive link account). The adaptive link account leads to constructivism. The moral realist needs a tracking account but this seems implausible. A tracking account of paternal instincts, for example, has to say that such instincts were favored not just because such behavior preserved DNA, but also because it is independently true that parents ought to care for their offspring. Richard Joyce thinks similarly, yet thinks that there is wisdom in a fictionalist approach to ethics, acting as if there are binding moral truths for the purpose of social harmony. How do secularists respond to the challenge? Baggett and Walls first consider replies by secular naturalists who take moral properties to be natural properties. They examine the Cornell realist account advanced by Boyd, Brink, and Sturgeon. Sturgeon replies to Harman by saying that moral facts are explanatorily relevant. Sturgeon thinks that moral facts are commonly and plausibly thought to have explanatory relevance since many moral explanations appear to be good explanations. Consider the case of Hitler. Harman thinks that we should not think that, over and above such natural facts about Hitler as his anti-semitism and will to power, there is a moral fact of Hitler's depravity. Sturgeon follows Kripke in suggesting that moral terms rigidly designate natural properties, so moral terms pick out natural properties and track them. Justice, for example, picks out some properties such as equity displayed in the distribution of societal goods. This, however, seems to embrace weak EE which seems saddled with an intractable epistemic challenge. Baggett and Walls then consider instead secular accounts which take moral properties to be non-natural properties (which supervene on natural properties). Neither David Enoch nor Erik Wielenberg provides a tracking account and, and both concede that our moral judgments are not likely directly caused by the relevant moral truths. Instead, they endorse a "third factor" explanation. If we can explain why (1) x causes y, and (2) x entails z, then we have explained why y and z go together. For example, on one view in philosophy of mind, brain state B causes action A, and B entails mental state M (M supervenes on B), therefore we can explain why M and A go together. Enoch says that this is a (Godless) pre-established-harmony type of explanation. Enoch's solution assumes that survival or reproductive success is at least somewhat good generally. Next he says that evolutionary selective forces have shaped our normative judgments and beliefs with the aim of survival or reproductive success. So the fact that survival is good pre-establishes the harmony between the normative truths and our normative beliefs. While Baggett and Walls think that Enoch's approach has potential, they point out that other worldviews can also affirm the value of human beings and their survival, and arguably better. Wielenberg's approach is similar but identifies a different third factor. His third factor is certain cognitive faculties. He says that relevant cognitive faculties entail the presence of moral rights and generate beliefs about such rights. How do those faculties entail moral rights? Briefly, he thinks that in light of our cognitive faculties that recognize overriding normative reasons to act, rights are thereby entailed. The primary reservation Baggett and Walls have regarding Wielenberg's account is ontological. They think his account does not do justice to the authority of morality, and does not satisfactory explain the existence of binding moral obligations and human rights. To support the claim that theism better explains our moral knowledge than secular accounts, Baggett and Walls look to Ritchie. 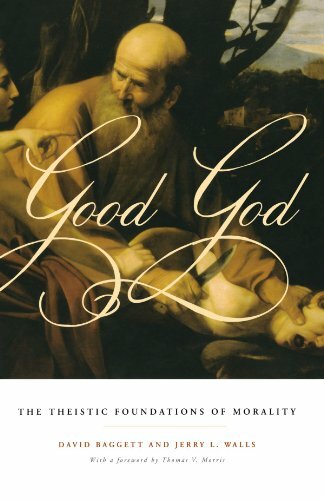 In From Morality to Metaphysics: The Theistic Implications of our Ethical Commitments, Ritchie advances a moral argument for God by accomplishing three central tasks. First he presses the distinction between justification and explanation of moral truths. Second, he engages secular accounts that address moral cognition. Lastly, he defends the theistic alternative. Ritchie asks three questions about the genesis and justification of our cognitive capacities. (1) What is the justification for our faith in their reliability? (2) What is the historical explanation for their development? (3) What is the explanation for their capacity for tracking truth? Ritchie grants the naturalist moral justification and even moral knowledge, but argues that naturalism fails to explain the truth-tracking ability of our moral cognition. He thinks that natural selection can tell a story of how humans come to have truth-tracking capacities for theoretical reasoning, namely, that we will survive better if we hold true beliefs that derive from theoretical reasoning. However, he denies that such correlation is nearly so plausible in the moral case. He thinks that a value system based on survival, replication, and pleasure alone is inadequate. He thinks that there needs to be a wider teleological explanation, one that ultimately involves the intentions of God. In summary, Baggett and Walls think that (assuming moral realism) moral knowledge is possible. Naturalism faces some challenges from those who Gettierize or challenge naturalists on the issue of moral justification. Instead of arguing that naturalism cannot account for moral knowledge, Baggett and Walls grants moral knowledge but thinks that theism provides a better explanation of our knowledge than naturalism. While they admit that third factor solutions seem to have potential, such solutions are entirely consistent with theism, and in Enoch’s case theism seems to feature better resources to deploy such a solution. So in agreement with Ritchie, they conclude that even if moral knowledge is consistent with naturalism, a better explanation is a theistic one. Frederick Choo is a philosophy undergraduate at Nanyang Technological University. His interests lie in metaethics. He helps to lead a Reasonable Faith Chapter in Singapore. In this interview for MoralApologetics.com, David Baggett interviews his dear friend, former teacher, and collaborator, the one-of-a-kind, iconoclastic Dr. Jerry Walls, a leading and prolific Christian philosopher and professor of philosophy of religion at Houston Baptist University. Questions canvass Dr. Walls’ education, early interest in philosophy, his graduate work at Princeton, Yale, and Notre Dame, his interest in eschatology, and other book projects in which Walls is engaged. When were you first drawn to philosophy? The first time I can recall becoming really fascinated by philosophy was one summer in high school when I was bored and looking for something to read, and picked up a book my dad had bought at a second hand book store by Francis Schaeffer entitled Pollution and the Death of Man. It was a book about ecology, which, frankly, did not interest me much. But I was fascinated by how he analyzed the issues in the ecology debate in terms of basic presuppositions and worldview. During the next several years, I read all of Schaeffer’s books as they came out, and that is how I was first introduced to things like epistemology and came to see that Christianity makes big truth claims about ultimate reality, and is among other things, a philosophy that provides answers to all the big questions. When did you become interested in issues of the afterlife, especially hell? Well, I was raised in Knockemstiff, Ohio, and “hellfire and damnation” was often preached about in my little country church, especially during revivals. Listening to the sermons at Bethel Chapel, there was no doubt that issues of life and death were at stake in how one responded to the gospel. I was converted at age 11 in response to a sermon on the text, “there is but one step between death and thee.” Several years later, I went to Princeton seminary, and many students as well as faculty were dubious about the idea of hell, and some rejected the afterlife altogether. The clash between my religious formation and my formal theological training was existentially riveting for me, and provoked me to think seriously about heaven and hell and whether there really are good reasons to believe in them or not. After graduating from Princeton, I went to Yale Divinity school, where I wrote a master’s thesis on hell, and I have been thinking and writing about these issues ever since! Is it true you were a teenage preacher? Yes, I preached my first sermon when I was thirteen, and had preached well over a hundred sermons by the time I graduated from high school. Tell us about your education at Princeton and Yale and Notre Dame. Who most influenced you among your teachers, and how? Well, as I said above, Princeton was rather diverse in its theological commitments, and posed a number of challenges to my evangelical background. We had a student group made up of evangelical students at Princeton called the Theological Forum, and I was President of the group. Some of my best learning came from this group. We had a number of notable speakers, including John Stott and Cornelius Van Til (who had not, I believe, been back at Princeton until we invited him) and others. (One of the students who was in our group by the way, was Bart Ehrman, who was still an evangelical at the time.) But the most memorable speaker was Alvin Plantinga, who we were able to get because his brother Neal was doing his PhD at the seminary at the time. 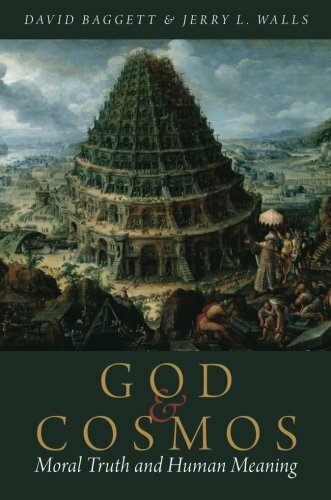 It was the first time I had met Plantinga and he gave a lecture in which he dismantled the theology of Gordon Kaufman, the Harvard theologian who labored under Kantian strictures concerning what we can say about God. It was both a gutsy and a galvanizing talk, and an enormously encouraging breath of fresh air and it elevated the enormous respect I already had for Plantinga. As for my teachers at Princeton, I learned a lot from Diogenes Allen, though he was a difficult personality and I did not have much of a relationship with him. At Yale, where I did a one year STM, I worked almost exclusively with Paul Holmer, whose main interests were Kierkegaard and Wittgenstein, though he also wrote a little book on C. S. Lewis. Holmer was a delight to work with and he encouraged my interest in the doctrine of hell. Holmer was very dubious of what he called the “bright chatty” sort of students, and I remember when I first met him and told him I wanted study with him, he was reserved until he asked me what I was interested in. When I told him I wanted to write about hell, he immediately got excited and encouraged me to come to Yale. Notre Dame was simply an ongoing intellectual feast and was by far the greatest educational experience of my life. I had the privilege of taking courses with the very best people who did philosophy of religion, starting with Plantinga, and including Fred Freddoso, Tom Flint, and Phil Quinn. I did a reading course with Quinn, by the way, on divine command ethics, a foreshadow of our work together. Quinn, of course, wrote an important book on divine command ethics. Plantinga’s courses were extremely stimulating and mentally challenging and you always left feeling like your brain had just had a strenuous workout that pushed you beyond your limits. But my most influential teacher at Notre Dame was my mentor Tom Morris, who was something of a force of nature with all the interesting stuff he was producing at the time. I learned a lot from him not only about how to do philosophy, but also how to teach, and that still influences everything I write. How did you end up writing not just about hell, but also about heaven and even purgatory? Well, after writing about hell, I came to see that heaven poses its own distinctive issues that deserved addressing. Moreover, heaven was almost entirely ignored by philosophers at the time so I wrote a book entitled Heaven: The Logic of Eternal Joy. I wrote a chapter on purgatory for the heaven book, having become convinced that a version of the doctrine makes theological sense for Protestants as well as Catholics. I had no thought of writing more about purgatory at the time, but again, further reflection led me to see that it too poses distinctive issues that deserve discussion. I was fortunate to receive a Research Fellowship in the Notre Dame Center for Philosophy of Religion for the 2009-2010 academic year and I wrote the book that year. How big an influence has C. S. Lewis been on you? In short, it has been incalculable. I vividly recall the first time I read The Great Divorce, a book that has had a profound influence on all of my thinking about the afterlife. I was at Yale working on my STM thesis on hell, and struggling to make sense of how eternal hell can be compatible with the perfect love and goodness of God. I remember reading that book into the early morning, and finishing it before I went to bed. What was stunning to me was the way Lewis made moral and psychological sense of how human beings can prefer evil, how they can choose to remain in hell, even if given every opportunity to repent and embrace the love of God. That recast how I thought about hell, and it would eventually help me to think more clearly about heaven and purgatory as well. You’ve published with Oxford University Press, but you can also write very accessible books. Should more philosophers try to write books for wider audiences than just fellow philosophers? Why isn’t it done more? Well, the best and most interesting philosophy deals with big issues that matter to every thoughtful person. Even if the immediate issues we are writing about are highly technical, if they really matter, it is because of their connection to bigger questions and concerns. I wish more academically accomplished philosophers would keep these big issues in mind and attempt to write books that address them for a wider audience. Such books, of course, are not a substitute for academically rigorous books, and should not be mistaken for them but they play an absolutely vital role in communicating the central ideas of philosophy to the broader culture. Not everybody can do this, but those who can should, in my view. The failure to do this has the effect of marginalizing philosophy and even trivializing it in contemporary culture. The vacuum of course, has often been filled by popular books that are superficial and often poorly informed. And many philosophers accordingly shy away from writing popular books because they do not want to be identified with such superficial books. Moreover, such books gain little recognition in the academy, and may even hurt your reputation. But the solution, I think, is for more philosophers to try to do both, to write serious books but also write books that communicate the central ideas in an accessible but responsible fashion. If we fail to do that, we should hardly be surprised if philosophy is seen as increasingly irrelevant to the overwhelming majority who lack our specialized training. Tell us about your most recent book on heaven, hell, and purgatory. Well, in short, it is my attempt to distill the central ideas of my academic trilogy into a more popular form for a broader audience. The book explores heaven, hell and purgatory in light of the big philosophical issues like the problem of evil, the nature of personal identity, the ground of morality, and the really big one: the very meaning of life. I attempted to write it in such a way that any thoughtful reader who would like to understand these issues better could read it with appreciation. I will be interested to see if I have succeeded. What other book projects are you involved in? Lot of things. I just wrote a long essay on purgatory for a new Four Views of Hell book that is forthcoming. My son Jonny and I have a book of essays coming out shortly entitled Tarantino and Theology. Another book I am excited about is Two Dozen or So Theistic Arguments, which I am co-editing with Trent Dougherty. It is based on Alvin Plantinga’s famous paper of that title, and will explore each of his arguments, several of which are new ones that have yet to be developed. A colleague here at HBU and I are working on editing a collection of essays on issues in sexual ethics. Another book I am co-authoring is Why I am not A Roman Catholic. I am co-authoring this one with Ken Collins, a church historian. Not to mention a history of the moral argument I am co-authoring with Bag. So it looks like I’ll be busy for a while. Why do you think the book you and I are wrapping up, the sequel to Good God, is important? Well, it deals with huge issues of urgent practical concern, just for a start! Contemporary culture is morally confused to put it mildly, and seems increasingly bereft of moral foundations. Christian theism provides not only a rationally powerful, but also an existentially appealing account of moral truth that beautifully answers to our deepest yearnings for ultimate meaning. We advance in this book an abductive moral argument that brings together an array of powerful considerations that have not, so far as we know, been advanced in this fashion. These considerations, taken together, provide a powerful case that God makes sense of the crucial features of morality far more convincingly than secular alternatives. Photo: "Conversation" by John St John. CC License. Dr. Walls, Dr. Baggett’s co-author of some of the books already mentioned, is one of the world’s leading thinkers on issues of heaven, hell, and purgatory, having written a book on each and a forthcoming book covering all three. He’s written voluminously, from a book on the apologetics of Schaeffer and Lewis, a critique of Calvinism, two books on basketball, and more besides. Currently, Dr. Walls is a professor at Houston Baptist University in Houston, TX. There's a great interview with Dr. David Baggett and Dr. Jerry Walls by Joseph E. Gorra available at the blog of the Evangelical Philosophical Society. Gorra's interview allows Walls and Baggett to go a little deeper on certain topics and explain the motivation of some of the positions taken in Good God. Gorra asks some great questions about the overall approach of the book, the objection to Calvinism, and the role of natural law, among other things. It's well worth the read. You can find the interview here.